One of the WORLDS most recognised female sports entertainers when it comes to tricks with a football. 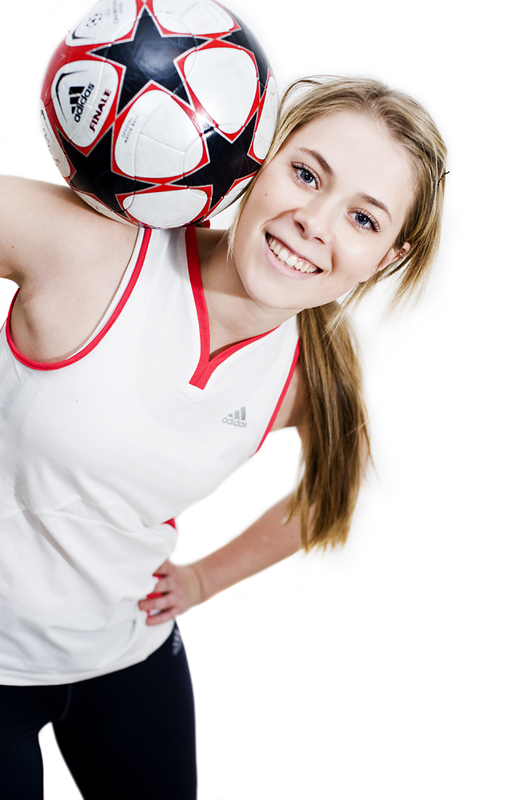 Costs for a female football tricks entertainer start from GBP £350 + travel expenses all on what is required, how long she needs to perform for and what the event is. 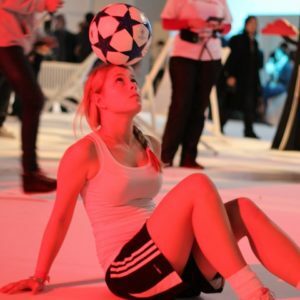 As an interactive entertainer she also shows up and gives many men a challenge at corporate sporting events by having one on one kick up challenges between herself and anyone willing to see who can keep up a football longer than she can.